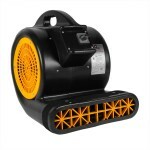 This Dri-Eaz® Dri-Pod axial downdraft floor fan dries carpets and hard surfaces fast! Enhance evaporation and help smaller areas dry quickly. This unit can cover an area roughly 5 feet in diameter by bringing warm, dry air from above and directing it your floor on all sides. It can be used safely on various types of flooring that include: carpet, tile, vinyl and hardwood. It is capable of drying up spills and leaks quickly by just placing the unit in the affected area and continuing on with your busy schedule. Having a width of 15 inches, and being stackable, makes storing it easy and convenient. 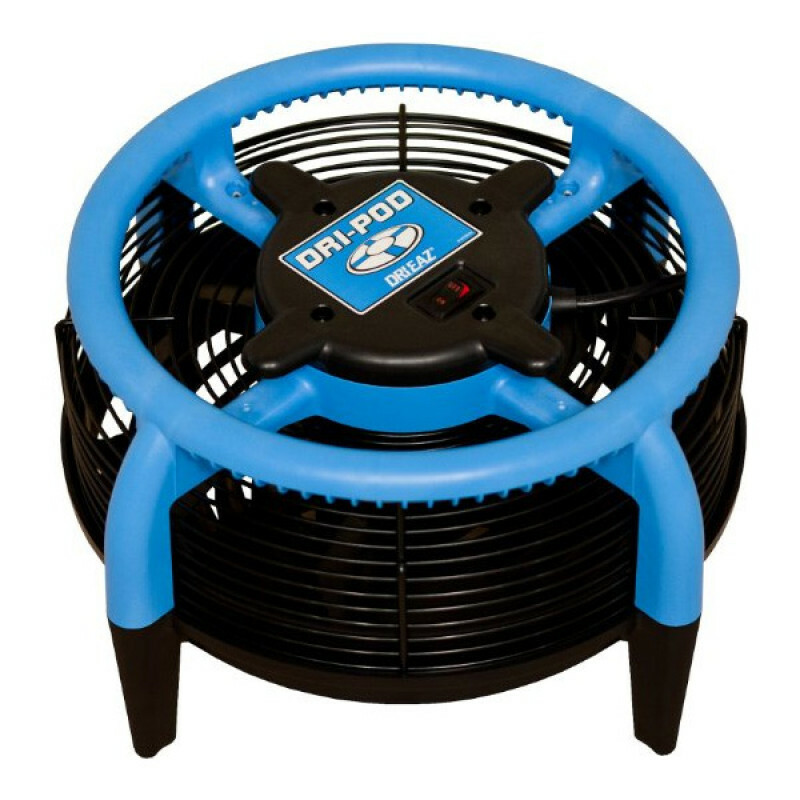 If you're looking for a little more air flow we carry a very similar drying fan to this one, which is the Dri-Eaz Downdraft Studebaker AirPath Air Mover with a CFM of 3520 and 7.5 amps of electrical draw. For other designs and models, please make sure to look through all of our axial flood dryers. High velocity airflow enhances evaporation and drying in small areas. Unit is compact & stackable for easy storage & transport. Dries smaller areas quickly in all directions (up to 5 feet in every direction). Draws 1.1 amps, so multiple units can be plugged into a single electrical circuit for wide area drying. Lightweight fan for east transport (only 10.6 pounds). This is a review for the Dri-Eaz® Dri-Pod Axial Floor Dryer.